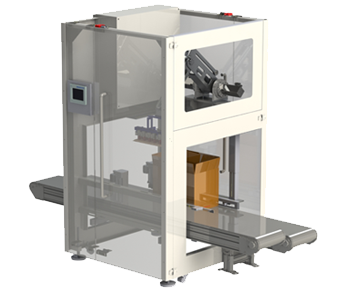 TL Series machines can be used for case packing, carton loading, tray loading, and other applications. With a small footprint, they have the versatility to fit into your existing production lines and be reconfigured as your needs change. So you don’t need to accommodate a huge machine. 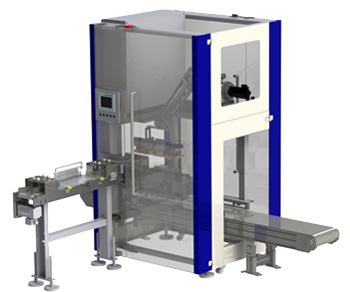 The compact, low-cost TL is a robotic top load machine that inspects, collates and loads flow wrapped or bagged products into cartons, cases or flighted infeeds. This simple-yet-effective machine easily integrates into your existing line and is easy to maintain and keep running. Most importantly, its installed cost is low, giving it a high return on investment. Our target is for the your new TL to pay for itself in one year or less. 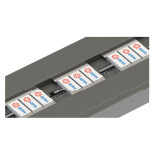 Products are collated and positioned with pneumatic or servo driven actuators. Proprietary MWA designed two-axis robot with a 20 lb. payload. All Rockwell machine and robot control. No additional robot controller. Carton/Case/Tray management system is designed to accept all types of cardboard containers. 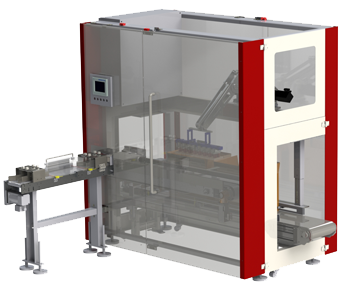 Cantilevered design allows the TL2 to be incorporated into existing packaging lines without modifying conveyors. Can be installed in as little as 30 minutes. Ideal for customers requiring flexible line configurations. Speed of 200 products per minute or more depending on product characteristics and pack pattern. Product infeed accepts randomly spaced product and rejects them if they are out of specification. Servo-driven collator indexes on demand. Cantilevered for quick belt removal. Parallel or Perpendicular Infeed configuration. Servo-driven dual axis collator with quick-change pocketed belt. Accepts randomly spaced cases and positions them for loading. Loads products into the stationary or moving flights of a wrapper, endload cartoner, or other equipment.